Flash Plus 2 3GB RAM variant to hit Lazada at Php 8490. The Flash Plus 2 has gained some serious buzz around the region upon its release last month. With the 2GB RAM version now selling like hotcakes, the company announced the availability of the 3GB RAM model. 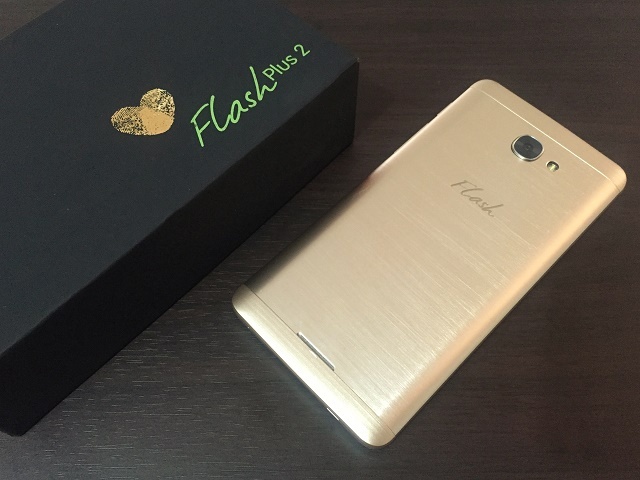 In fact, Flash Plus 2 3GB RAM variant will hit the country in as early as July 5. Still, it’ll be exclusive in Lazada for Php 8,490. Flash Plus 2 3GB RAM becomes the talk of the town due to its premium-metal build and fast-processing MediaTek Helio P10 chipset. The latter churns with eight cores of Cortex-A53 processor – four of which is running at 1GHz while the remaining cluster runs with 1.8GHz speed. Likewise, you’ll get a very beautiful 5.5-inch Full HD display, a very capable 13MP rear camera with dual LED flash and a 5MP front-facing camera for social media selfies. The Flash Plus 2 3GB RAM model will be available in Lazada starting July 5 at exactly 12 noon. You can still choose between the Luna Silver or Venus Gold paint jobs.